Most people living in the United states have limited knowledge of Moringa in general, much less Moringa oil and all the Moringa oil benefits! This page was written to give an overview of the amazing properties of this oil. We are excited to see what additional uses for this oil will be uncovered and documented as research continues! Moringa oil benefits are many and the list keeps growing as we learn more! Just as with Moringa leaves, Moringa oil benefits are many! The oil has many amazing properties not typically found in a single source. In addition to the oil’s high levels of oleic and behenic fatty acids, the oil has antioxidant and antihepatotoxicity properties. This makes the oil a powerful and natural tool for a wide range of applications and also makes the oil highly coveted in the cosmetic and health and beauty industries! The oil is actually known commercially as ben oil, and it’s for good reason! This name was derived from the high quantity of behenic acid (up to 9%) that the oil contains. No other oil even comes close to having this level of behenic acid–but more on that later. 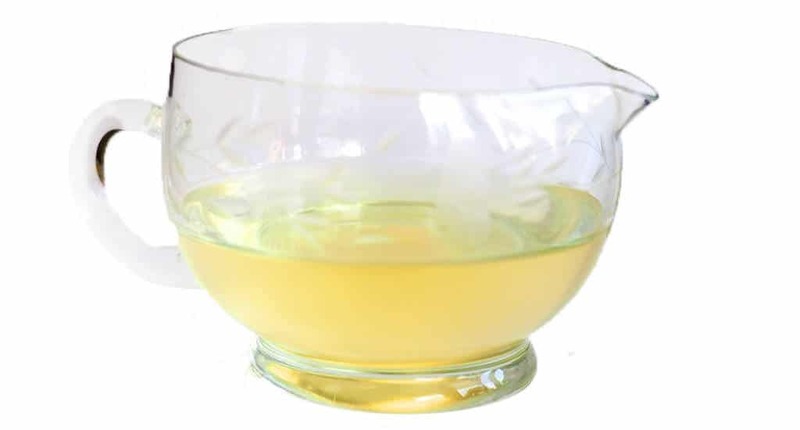 The oil has a pale yellow color, has a very mild nutty flavor, is odorless, is non-sticking, is non-drying, is liquid at room temperature and resists rancidity lasting for several years after it’s produced. Where does Moringa oil come from? Moringa oil comes from the seeds of the Moringa tree. Seeds have an outer hull protecting an inner seed kernel. The seed kernel, on average, contains 40% oil by weight. Oil is typically extracted by compressing the Moringa seeds in a screw press. Cold pressing the oil, which produces the highest quality product, also extracts the least amount of oil from the seeds. To extract more oil from the seeds, some manufacturers will heat the seeds and press or even use solvents. This practice increases the amount of oil obtained by nearly 50% but at the expense of the quality and purity level of the final product. 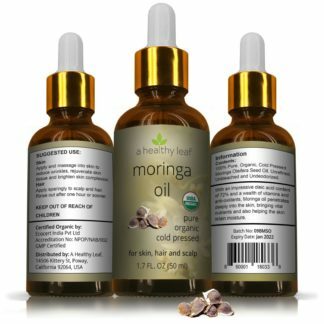 Always be sure to look for cold pressed Moringa oil. 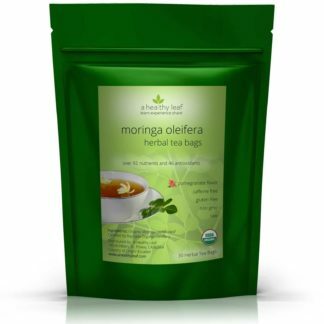 Approximately 500 Moringa seeds are required to produce 1 oz (29.6 mL) of cold pressed oil. This means it takes approximately 35 mature seed pods to produce 1 oz of oil! Now you know why cold pressed Moringa oil can cost as much as $10/oz for small quantities! With vegetable oil costing about $0.05/oz, there is motivation for some less than moral individuals to dilute Moringa oil with cheaper oils, sell at a discounted rate, and still make tremendous profits. Please be sure to ask questions and know your source before buying. Of major significance is the fact that the oil also contains up to 9% behenic acid (C22:0). Behenic acid, a saturated fatty acid, is often used in moisturizers, hair conditioners and lubricating oils. It is the behenic acid’s conditioning properties that help to keep skin and hair soft and smooth. For comparison, peanut oil has the next highest concentration of behenic acid with up to 3%. Other oils contain very low levels (1% or less) of behenic acid if they contain it at all. Moringa oleifera oil contains small amounts of many phytosterols and even cholesterol as well. It is reported that the sterol composition of Moringa seed oil differs greatly from those of most of the conventional edible oils. . Many of the Moringa oil benefits come from these sterols. Beta-sitosterol is also used for enhancing sexual activity. Marathon runners sometimes use beta-sitosterol to reduce pain and swelling after a run. Some people apply beta-sitosterol to the skin for treating wounds and burns. In 2012, research was conducted on the antimicrobial activity of oil extracted from Moringa peregrina seeds. The results showed the oil was effective against all types of microorganisms tested. While certainly possible, there have been no studies to date that show Moringa oleifera oil has the same antimicrobial activity. Some websites have claimed Moringa oleifera oil has antimicrobial activity. Their sources, however, show it is the crushed seeds that have the antimicrobial activity, not the oil. The extract from crushed and powdered seeds have been shown to have anti-fungal properties. 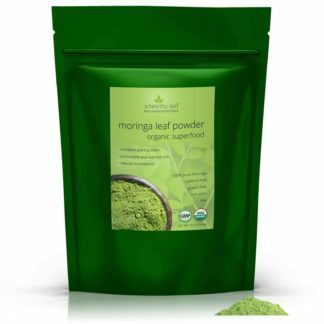 In recent years, many people in Taiwan or China have been using the seed of Moringa as an herbal medicine to treat athlete’s foot and tinea and found that it is effective. For the first time, in this communication we provide the evidence that extracts of M. oleifera have antifungal properties. It isn’t yet documented if pure oil contains antifungal properties. Several websites have listed Moringa oleifera oil as having antifungal properties; but upon checking their sources, it seems they have mistaken studies on the crushed seeds for seed oil. Enfleurage Oil: Enfluerage is a traditional method of extracting essential oils and perfumes from flowers with an odorless plant or animal fats. We can’t attest to accuracy of the “Livestrong” article, but it’s worth a try! Dr. Mark Olson, plant biologist and word renowned Moringa authority, gives us some insight to the history of Moringa oil. He states Moringa oleifera oil was likely not used in ancient Egypt. The oil was rather from another species of Moringa tree known as Moringa peregrina. 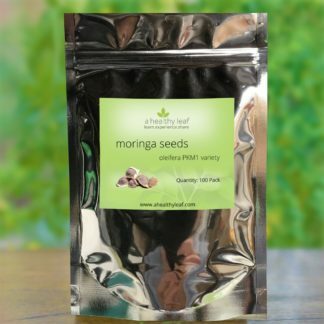 Purveyors of moringa will tell you all sorts of stories to get you to buy their products. Many of them try to get you to buy their Moringa pills by spinning stories of the Romans and the Egyptians anointing themselves with Moringa oil or energizing themselves with dried Moringa leaves, not unlike the very pills they are selling. As often the case, these vendors haven’t quite gotten the story right. 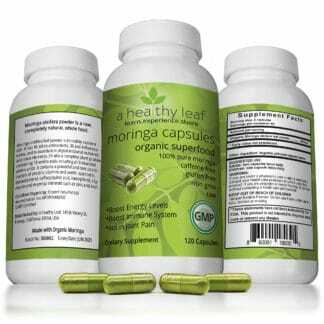 The folks selling Moringa pills and other products are selling Moringa oleifera from India and Pakistan. The Romans and Egyptians used oil from Moringa peregrina, which is found from the Dead Sea area south on both sides of the Red Sea, around the southern Arabian Peninsula as well as in northern Somalia (but not, oddly, on Socotra). There is abundant archaeological evidence of the use of M. peregrina in Egypt and around the ancient Mediterranean. According to Theophrastus, oils were used as bases that could receive and retain the scents. [Moringa peregrina oil], extracted from nuts growing on bushes in the Syrian and Egyptian deserts, was the most valuable, being the least viscous and the most receptive [to absorbing perfume scents]. Clapham and Rowley-Conwy (2007) give an interesting record of the presence of M. peregrina samples at Qasr Ibrim, once a major city in what is now Lake Nasser, Egypt. They show that traces of M. peregrina fruits are present over a period comprising as early as the 7th century BC to as late as 650 AD, a stunningly long period of documented use. In 1817 a petition containing particulars relating to the oil from M.oleifera was presented to the Jamaican House of Assembly. The petition described the oil as being useful for salads and culinary purposes and to be equal to the best Florence oil as an illuminant giving a clear light without smoke. A subsequent paper presented to the Jamaica Society of Arts in 1854 described how samples of oil had been tested by two watch making establishments in Kingston and had been reported to be equal to the expensively imported ‘watch oil’. Subsequent reports indicated that the oil was used extensively as a lubricant until being replaced by sperm-whale oil. Today there is a global market for Moringa oleifera oil. Unique properties and benefits of the oil have also made it increasingly popular as a base for many cosmetic products. Lalas, Stavros, and John Tsaknis. “Characterization of Moringa oleifera seed oil variety “Periyakulam 1”.” Journal of Food Composition and Analysis 15.1 (2002): 65-77. Zambiazi, Rui C., et al. “Fatty acid composition of vegetable oils and fats.” B. CEPPA, Curitiba 25.1 (2007): 111-120. Anwar, Farooq, and M. I. Bhanger. “Analytical characterization of Moringa oleifera seed oil grown in temperate regions of Pakistan.” Journal of Agricultural and Food Chemistry 51.22 (2003): 6558-6563. Tsaknis, J., et al. “Characterization of Moringa oleifera variety Mbololo seed oil of Kenya.” Journal of Agricultural and food chemistry 47.11 (1999): 4495-4499. Rossell, J. B., and J. L. R. Pritchard. Analysis of oilseeds, fats and fatty foods. Elsevier Science Publishers Ltd., 1991. Panda, S., et al. “Thyroid inhibitory, antiperoxidative and hypoglycemic effects of stigmasterol isolated from Butea monosperma.” Fitoterapia 80.2 (2009): 123-126. Ogbunugafor, H. A., et al. “Physico-chemical and antioxidant properties of Moringa oleifera seed oil.” Pakistan Journal of Nutrition 10.5 (2011): 409-414. Lalas, Stavros, et al. “Determination of antimicrobial activity and resistance to oxidation of Moringa peregrina seed oil.” Molecules 17.3 (2012): 2330-2334. Olatosin, T. M., D. S. Akinduko, and C. Z. Uche. “Evaluation of the Hepatoprotective Efficacy of Moringa oleifera Seed Oil on Ccl4-Induced Liver Damage in Wistar Albino Rats.” The International Journal of Engineering and Science (IJES) 2.11 (2013): 13-18. Chuang, Ping-Hsien, et al. “Anti-fungal activity of crude extracts and essential oil of Moringa oleifera Lam.” Bioresource Technology 98.1 (2007): 232-236. CSIR, 1962 The Wealth of India, A Dictionary of Indian Raw Materials and Industrial Products. Raw Materials, Vol. VI. Publications and Information Directorate, Council of Scientific & Industrial Res., New Delhi. Rahman, Ismail MM, et al. “PHYSICOCHEMICAL PROPERTIES OF MORINGA OLEIFERA LAM. SEED OIL OF THE INDIGENOUS‐CULTIVAR OF BANGLADESH.” Journal of Food Lipids 16.4 (2009): 540-553. Anwar, Farooq, Syeda Nahid Zafar, and Umer Rashid. “Characterization of Moringa oleifera seed oil from drought and irrigated regions of Punjab, Pakistan.” Grasas Y Aceites 57.2 (2006): 160-168. Tsaknis, J., et al. “A total characterisation of Moringa oleifera Malawi seed oil.” Rivista Italiana delle Sostanze Grasse 75 (1998): 21-28.